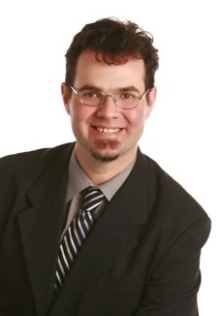 Daniel Le Roux is a trial attorney with the employment law firm of Mitra Law Group. Daniel is an honor graduate of Northwestern School of Law, Lewis and Clark College in Portland, Oregon. He is an active member of the Oregon and California Bars and is licensed to practice law in all Oregon and California state and federal courts. Daniel is a two time proud recipient of Pro Bono Honors for 2003-2004, and 2004-2005 and continues to volunteer his time to provide the underrepresented with quality representation. After practicing law for several years in a well-respected San Diego firm, Daniel moved back to Oregon and has since been practicing employment law, exclusively representing employees in all employment related matters. Daniel has extensive litigation experience and is a successful trial attorney. Daniel is proud to have been a part of the legal team responsible for receiving a verdict of 1.8 million dollars in 2008 in the case of Traxler v. Mutlnomah County trial, the largest employment verdict in Oregon history at the time. Daniel has an extraordinary high success rate in defeating and opposing summary judgment motions in employment cases, both in Federal and State courts. His creative and uncanny ability to address tough legal issues in the employment law area has been noted by some of the legal experts in the field. Daniel is also an accomplished appellate lawyer with a number of employee related appellate decisions in his favor. Daniel is a published and brilliant writer. He is passionate about representing employees and relates exceptionally well to clients. Daniel comes from a working class background with several years of experience in the hospitality industry prior to attending law school. As a result, Daniel has both the personal experience and the legal knowledge to address the imbalance and abuse of power that is inherent in the employer-employee relationship.